Who Makes the Most… And Can Still Win? World Cup Salaries: Who Makes the Most? Cote D’Ivoire’s Didier Drogba, who gained wide notoriety playing for Chelsea in the British Premier League, is the highest paid African footballer and the fifth highest paid player in the world. Look what he earns in relation to other highest paid players in the world. Click here to show the other players in the top 10 list of highest paid. How long would it take for you to make Drogba’s salary? In Cote D’Ivoire, for example, the average salary is US$690 a year. Drogba earns that amount in less than 30 minutes. Click below to see how long it takes for Drogba to make what you make. The Elephants may very well trample over the low-ranked Samurai Blue, but you can be sure the Japanese aren’t going down without a fight. Group C’s other matchup (Colombia beat Greece earlier) opens action at 9 p.m. USEDT (1 a.m. GMT) Look to Shinji Kagawa and Keisuke Honda to lead the way for Japan, while Didier Drogba leads a stellar cast for Ivory Coast. For play-by-play, minute-by-minute coverage of every ball touch, throw-in, direct kick, indirect kick, yellow card, red card, corner kick, goal kick and every other possible football feat in every World Cup match, tap into VOA’s multilingual, multinational analysis. Click here to follow the action live, or watch it on Twitter at #WorldCupVOA. And for even more exclusive VOA coverage with a special focus on Africa’s national teams, check out VOA’s Francophone blog. Onward and Upward Les Éléphants! 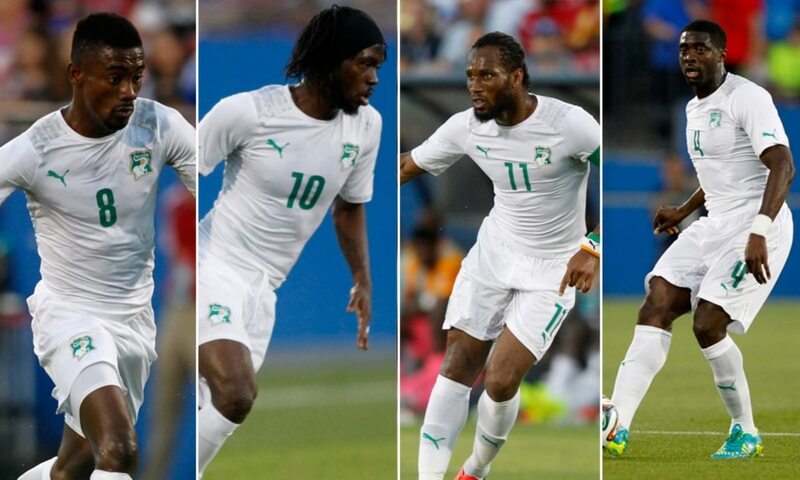 Côte d’Ivoire is undoubtedly one of the best teams in sight for this World Cup. It is true that over the past decade the so-called “golden generation” have won nothing. But the team is still very impressive and can inflict damage. Players like midfielder Yaya Toure have been crowned champions of England with Manchester City. Players of the “golden generation” have great experience. In the last 10 years, Didier Drogba, the Toure brothers, Salomon Kalou, Gervinho, Didier Zokora, to name but a few, have shone on the European stage. Côte d’Ivoire, even with the fairly advanced age of some of its players, needs to pass the first round and, why not go further. Many of these players might return more to the finals of the World Cup. Repeated failures of this team, far from being a handicap, will certainly be a motivating factor that will push this generation of players to give everything for the finals.